Having successfully deployed MAN engines in the past, Slovakian rail vehicle manufacturer ŽOS Vrútky a.s. has ordered an additional 40 engines of type D2862 LE633 for the period up to the first quarter of 2015. The 12-cylinder railway engine is to be used in the diesel power units of the Slovakian company's 861 series (Regiomover) in a two-engine system with 588 kW (800 hp) per engine. Thanks to a double exhaust gas aftertreatment system on the left and right cylinder banks with SCR (Selective Catalytic Reduction), the D2862 complies with the strict emission regulations of EC level IIIB. "The decision to use the D2862 LE633 was an easy one due to our positive experiences with the previous model: while benefitting from almost identical handling and proven traction force, we are also fulfilling the latest emission requirements," said Klaus Kubica, Head of Railway of Ferrostaal Equipment Solutions GmbH, the exclusive sales and distribution partner for ŽOS Vrútky's Regiomover in Germany. This efficient and most powerful of the MAN railway engines is available for rail cars and locomotives at performance levels ranging from 588 to 735 kW (800 to 1000 hp). It was first introduced only recently at the international trade fair for transport engineering, InnoTrans 2012 in Berlin, and will be on display there again in 2014. MAN's latest product for the railway sector is particularly impressive due to an increase in performance and the expansion of the cylinder capacity to 24.2 l in comparison to the previous model. 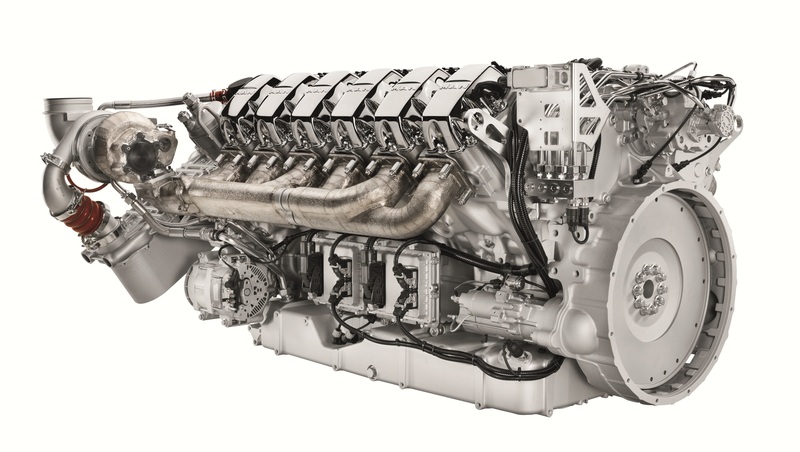 "In combination with MAN's high levels of advisory expertise and solution-orientated approach, the D2862 LE633 is a very flexible and broadly deployable engine. This makes it an outstanding product – and not just from an economic perspective" said Günther Zibes, Head of Business Center Rail at MAN. The performance range and installation conditions of the 12-cylinder engine are tailored to the specific requirements of railway vehicles. The multiple-engine concept makes it possible to flexibly distribute the load across several engines. Extremely compact installation situations are possible – almost as a 'plug & play' version – on account of the two attached intercoolers. The D2862 is also available for established installation situations with medium turbine positions and a flexibly designed intercooler installation. 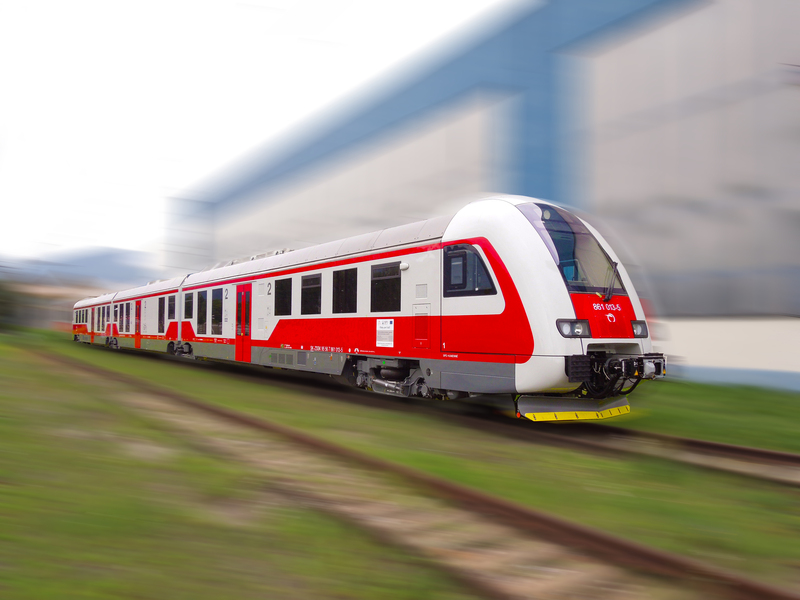 Performance requirements for railway engines have increased significantly as more advanced installations such as air conditioning or passenger information systems require more electricity. These developments have led to increasingly high demands on engines. The D2862 LE633 has proven to be especially powerful and highly efficient. Its compact and low design is ideal for sub-floor applications and thus ideal for deployment in locomotives (DMU – Diesel Multiple Unit) and maintenance vehicles. MAN offers efficient diesel engines with 6 and 12 cylinders for use in rail cars, mainline and shunting locomotives, track-maintenance vehicles as well as for power supply. The power range spans from 257 kW (350 hp) to up to 265 kW (360 hp) for rail cars and up to 735 kW (1000 hp) for locomotives, as well as from 230 kW to 543 kW (313 hp to 738 hp) for traction power units. MAN engines are characterised by their compact installation, which can be conventionally performed in the engine module or, to save space, beneath the floor or in the roof. Its advantages are fast load pick-up and economically viable long-term usage while adhering to prescribed emission standards worldwide. The MAN 12-cylinder railway engine D2862 LE633 is to be used in the diesel power units of ŽOS Vrútky‘s 861 series (Regiomover) in a two-engine system with 588 kW (800 hp) per engine. This efficient and most powerful of the MAN railway engines – the D2862 LE633 – is available for rail cars and locomotives at performance levels ranging from 588 to 735 kW (800 to 1000 hp).